Haus was down. Jerrymander sank back into the wagon and hugged his satchel. The Mold family backups. More shots rang out from the top of the canyon. A gurgle came out of Haus. He would be useless for at least another hour. The Secret Service detail had vanished into the brush. They worshiped a blank sheet of paper. Any blank sheet of paper. Considered them sacred. That's why they didn't like it when you filled them up with words. And Jerrymander Mold had gotten an awful lot of ink. According to the Blanks (as they were called), excess quantities of pulp were spoiled disseminating tales of his exploits. Naturally, this tended to happen when you were the President of the Union, but the Blanks couldn't abide the normal excuses. The simple inevitability of the press' fascination with power was ignored by their stubborn, peculiar order. They considered Jerrymander responsible for the destruction of the 25 lb. white bond industry. The market simply couldn't support its production during wartime. Therefore Jerrymander, as the dominating figure of the war, was obviously to blame for bond paper's collapse. Haus had uncovered only minimal data on their rituals, but it had been enough to put the fear of the Green into Jerrymander. By his understanding they indulged in blatantly inhumane practices. And now here he was alone with them in the canyon. There were echoes of movement nearby. Or so Jerrymander calculated the delay. He hesitated to peek over the side of the wagon. 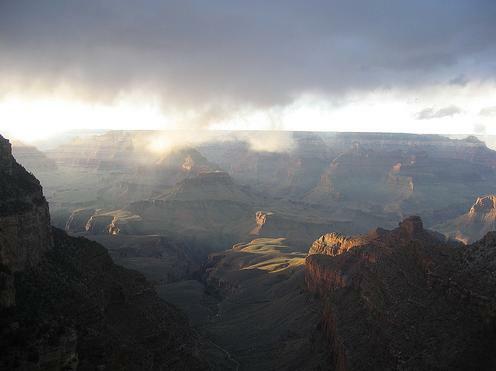 He could see nothing but the sky and the western rim of the canyon straight ahead of him. Ten minutes elapsed and no further shots were fired. He assumed the Blanks had moved on, but he declined to relax his grip on the satchel. By any means necessary, the backups had to be preserved. Two hours later, Jerrymander pulled out a blank sheet of paper and investigated it in the failing sunlight. It looked normal enough to him. He felt no particular spiritual stirring. Of course, the nature of his mechanical body ensured that this would be the case. He found himself absent the necessary hardware to affect faith, even if his ghost had been willing. The virgin rectangle of white paper looked very much to him like a virgin rectangle of white paper. It lay spread out on his hand, motionless and lacking in semantic content. He turned it over and examined it at different angles but could only derive this same dispassionate reading. Haus started awake with a gasp. He spit blood on the floor of the wagon and cursed the name of the Green. "These people are truly trying my patience," he remarked, bitterly. "I know what you mean. First they elect me, and then they want to kill me because I find it insensible to worship reams of tractor-feed printer paper." "It's hard to believe they've withstood us this long." Jerrymander threw up his hands. "They're a guerrilla force. The Union is fat and slow. The recalcitrant aesthetic appeals to the mainstream. These are not the ingredients of a Union victory." The horses were tired. Haus decided the wagon could afford to stay put until morning, even in its disadvantaged position. He'd finally gotten the shields up and running. At first light he'd try to track down the awol SS men, while Jerrymander made a beeline for the Continuity of Government bunker thirty miles to the north. The President would be safe there, provided he didn't run into any more Blanks along the way. They divided the backups between themselves according to family protocol. Haus carefully punched out duplicates of everything they had. He took the originals and gave his new copies to the President. If either of them were captured or killed, at least one full copy would survive. If both of them were captured or killed, the preservation of the archive would matter little anyway. They were the only Molds living, and it took a Mold to resume a saved state. Haus realized then that the Molds were the precise antithesis of everything the Blanks stood for. Jerrymander dreamed of white squares in space. He conceived of them almost as overlapping pixels, multiplying until they blotted out the stars and planets. In his dream, he observed the total heat death of the universe, presented as a linear narrative spanning the spectrum from red shift to blue shift. Near the end, the white squares took on a pale, greenish hue. He fancied he could make out some meaningful pattern in the mesh of interlocking pixels. The whole enterprise brought to mind Penrose tiles. He felt that there must be some significance to the display that he couldn't quite grasp. Even in his dream he was frustrated that the solution seemed to languish just out of reach. Jerrymander awoke with a crick in his neck. He ran some diagnostics and adjusted the latches of his spine, but this action only minimally reduced his discomfort. He realized then that he felt cold and reached for his jacket. He could definitely do with better weather. The skin on his knuckles was starting to crack. Haus had set off without waking him. Just as well that they split up early in the day. Jerrymander checked his rifles and made sure his internal GPS was functioning as expected. Presently, he yanked on the reigns. The horses roused groggily to cruise velocity. As the wagon drug forward, each horse evacuated its bowels, one after the other in an alternating pattern. The dust of the trail caught in Jerrymander's teeth. His grimace felt permanent, fixed in place. He was embarrassed to admit that the smell bothered him.